This statistic presents the number of Grindr daily and monthly active users worldwide as of April 2016. As of the measured period, Grindr - a gay dating app, was estimated to have 2.4 million daily active users worldwide. 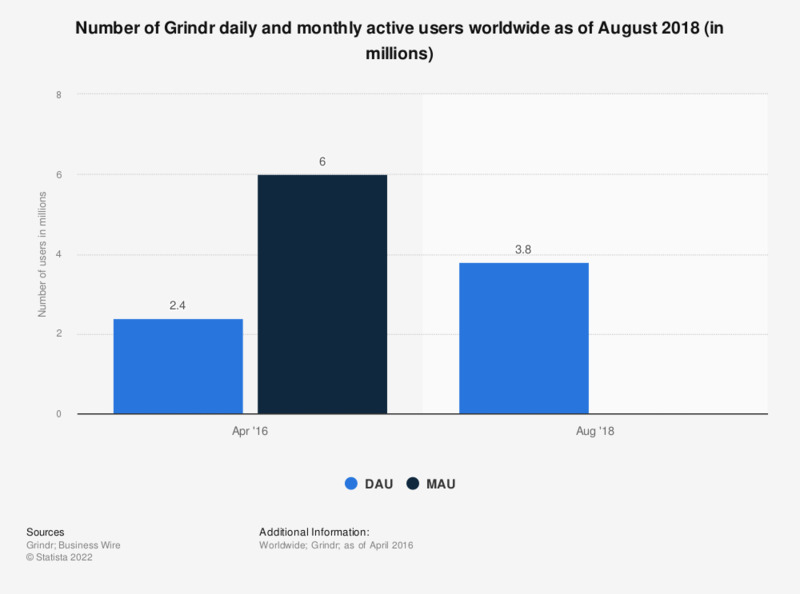 *The source, Grindr CTO, expressed the number of MAU as between 5 and 6 million.